activated space: VM is the New Black! VM is the New Black! Henderson believes that the best examples of VM are created through collaborative efforts when artists, architects, interior designers, even graphic designers are given a brand’s permission to experiment, along with creative freedom. This ‘Hybrid Design’ approach allows for a blurring of forums – where the installation could be viewed in a gallery, on a runway, in a corporate boardroom or in a retail store. Gloss Creative, amongst other endeavours, has been responsible for the Sportsgirl Suite – a staging area at flagships Bourke Street, Chadstone and Pitt Street, that is dedicated to art style installations where no product is required to be displayed and the only brief is that the content must be Sportsgirl minded – fun, energetic and colourful. Their latest installation for the brand ‘make do and mend’ ties in with the brands focus on knitting. Not just knitwear in their latest range, but also a series of knitting workshops they’re running in store and DIY knitting videos available on the Sportsgirl blog. Gloss collaborated with illustrator, Chantel De Sousa and created a range of forest animals that are surrounded by handcrafted acorns and knitted scarves displayed within a houndstooth setting. Henderson also noted that we are seeing a greater effort to build VM into store design. Take Aesop for example – the stores have little VM. Instead objects like bottles, cardboard and furniture pieces have been incorporated into the design to act as an alternative to traditional shop fixtures. Paul Bonnici, Director of Create & Communicate 2C (but probably best known as former Director of Marketing & Creative at Myer) spoke of the importance of VM in an area he knows intimately - department stores. He believes their real challenge in vying for the top spot in the global post GFC economy is “taking an innovative idea and commercialising it.” He referenced Bergdorf Goodman for their ability to create campaigns that provided a point of difference. In April they ran a couple of very different promotions including ‘Blue Yarn’ which featured accessories and bags and elements of blue stitching. They also displayed ‘Water for Elephants’, tying in with the film starring Reese Witherspoon and Robert Pattinson. Two completely unrelated campaigns, but which both attracted the attention of shoppers and drove traffic in store. 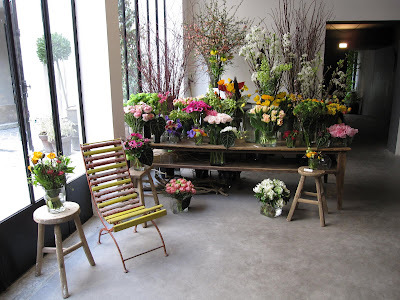 Bonnici also spoke of the charming Merci in Paris’ Marais District. It contains a mix of homewares, a florist, perfumery, restaurant, book shop and clothing. The Fiat in the front courtyard takes on different elements relating to the season. 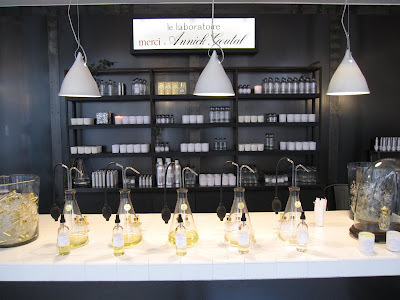 They change the store over each week and tweak daily – every visit guarantees something new. Selfridges was also applauded for its longstanding commitment to bringing entertainment to its stores. Harry Gordon Selfridge opened the store in 1909 with the intention of bringing wonders from around the globe to amaze and excite customers. Despite a change of ownership in the past decade, the store still holds this mantra in high regard. 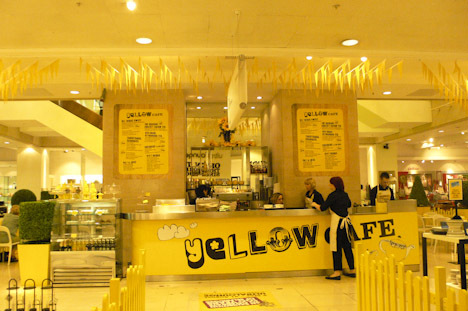 Such an example is the Yellow Promotion which celebrated 100 years of Selfridges. Theming reached all touchpoints – windows, VM, entertainment, through to the uniforms and food. There was even alignment with brands such as Coca-Cola to create exclusive yellow products. The department store discussion does lead on to the topic of our own two major retailers, Myer and David Jones which have both completed refurbishments of their Melbourne flagships in the past 12 months. You may have wondered why, when I live in this city, I haven’t written about either of them. The simple answer is that they haven’t inspired me to write. Whilst Myer does go someway to reflect the high quality finishes and design elements of overseas department stores, they both fall well short of any Wow factor. This sentiment appeared to be reflected throughout the audience when discussed at question time. Bonnici succinctly informed all that both these businesses are lacking a Creative Director, driving home once again the importance of establishing strong creative structures within retail businesses. As a side note I do believe the builds of the refurbished DJs and Myer stores have the potential to be wonderful places. They both need to find the courage and invest in making them truly creative and inviting spaces. I hope they give me reason to share such activities with you in the very near future.